While there have been some gains for women in technology, engineering, math and science, things are still nowhere near where they need to be. What does it take for women to really be heard in a technology-driven environment? In this dynamic, timely webinar, we'll get into the nooks and crannies of how not being heard impacts women in technology. You'll learn about the three systemic levels you need to address as a female leader, along with practical tools and techniques that can help you strengthen yourself at each level. We'll talk about how women can coalesce in the workplace to be heard in a bigger and more conscious way. There will be a discussion around personality and style-based distinctions like introvert, extrovert and ambivert, and how these distinctions play into your workplace behavior. Finally, you'll have a chance to personally assess your organization and think strategically about your career and future. Bring your workplace situations and questions for a lively, valuable learning experience! For twenty years, Leadership Coach Dr. Miriam Reiss has worked with corporate and non-profit clients in technology, engineering, finance and entertainment, from Microsoft and Boeing to Fidelity Investments and Sony. Miriam is also a Strategic Partner with The Trium Group, a coaching and consulting firm serving top-tier companies in technology and entertainment. Miriam loves serving WITI women. She has been a WITI Conference speaker and webinar leader since 2010, and helped WITI form the first WITI Conference Coaching Circles. 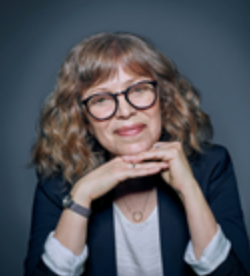 A Master Certified Coach (MCC), the International Coach Federation's senior credential, Miriam holds a Doctorate from Peace Theological Seminary, and academic degrees from Cornell and Columbia Universities.